If you told a hotel marketer in the seventies that you could show their ad to someone based on their age, marital status, and recent travel activity, they would have raided their company's coffers. If you told them you could ensure that they would only pay if these people actually opened their catalogue, they would have all of their worldly possessions boxed up and ready to be sold. With Facebook's incredibly powerful ad targeting, 21st century marketers can do just that, and more, without breaking the bank (or their bank manager's heart). 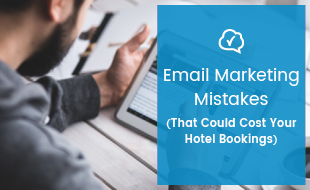 Such a detailed and powerful tool can be a bit daunting to get to grips with, however, which is why we have put together a couple of handy slides with all the basics any hotel marketer needs to know to start getting their hotel's ads in front of exactly the right people. Pick any age range, from 13 upwards. This is handy if you cater specifically to older or younger guests. Think your offerings might appeal more to men or to women? Tell Facebook to only show it to your chosen gender. Tip: Try combining gender with other targeting options to get powerful results, like the example on this slide which can be targeted to married men with wedding anniversaries coming up soon. Combine language with location and you can target people in your city speaking foreign languages, or ensure your ads are only delivered to those who will understand them. Facebook interest targeting allows you to deliver (or not deliver) your ad to anyone who has shown an interest in a vast range of topics. top architecture tour ad to people who will appreciate it. Have you got a database of loyal patrons who love getting your newsletter? Make sure they see your ads so they can share them far and wide. Have you noticed you get a lots of return guests around Christmas? Get your seasonal specials in front of last year's guests. By adding a little snippet of code to your website, you can get Facebook to build a list of its users who also visit your website. You can then use ads as a reminder, even if people visit your website and then get distracted and leave. Tip: Be one of the good guys – make sure you get your guests’ and website users’ consent to use their email addresses and other data for marketing purposes before you try advertising to them. Once you have created these lists, you can use Facebook’s amazing algorithms to build lists of thousands of people who are similar to the ones you already know are interested in your offerings. Facebook keeps track of online behaviours, such as purchases, travel habits and device usage. 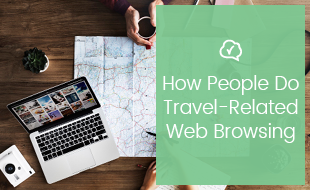 For instance, behaviour targeting allows you to exclude people who have just returned from travelling, or only show your ad to people who are frequent travellers. 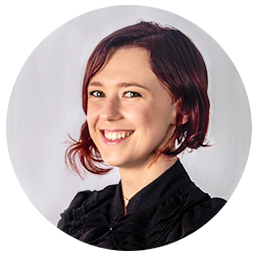 Tip: Use the “include people”, “exclude people” and “narrow audience” features to create really specific audiences from a combination of interests, demographics and behaviours. For example, you can deliver your ads to fathers of toddlers within driving distance of your BnB whose wives have a birthday soon or who have an anniversary coming up – they could probably do with a weekend away! 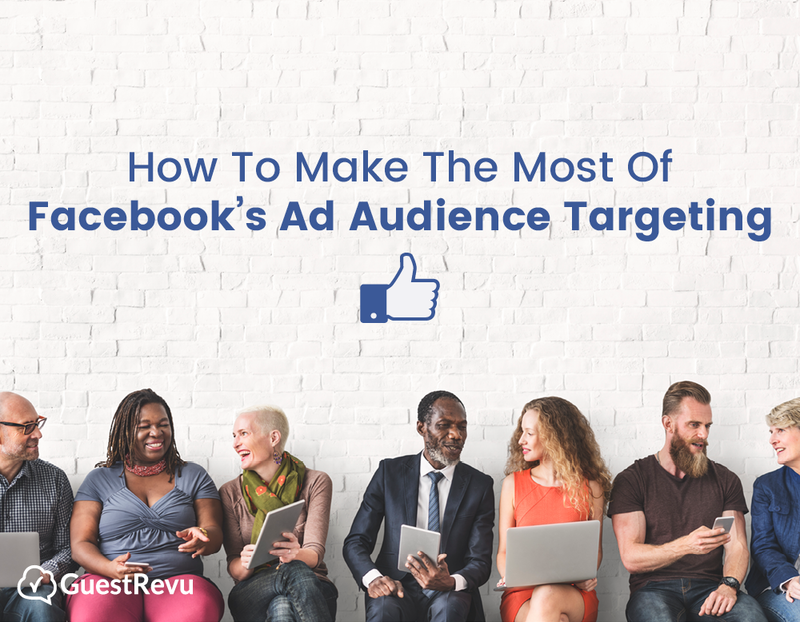 Facebook ads don’t just live on Facebook - you can use all these fantastic targeting opportunities to get your ads seen across the Facebook suite (Facebook, Messenger and Instagram) as well as on external websites and apps that are part of the Facebook Audience Network. Catalogues and dynamic ads combine all the wins of lookalike audiences, website visitor retargeting and interests, and, after you have done the initial setting up, they run and adapt all by themselves. There is even a catalogue type created especially for hotels. Once you have done all the work honing your target audience to just the right bunch of people, you can add it to your saved audiences. You can also combine and expand or narrow previously saved audiences. Use audience size and daily reach estimates in the ad creator to tweak your budget and target to make sure you reach the right number of people.